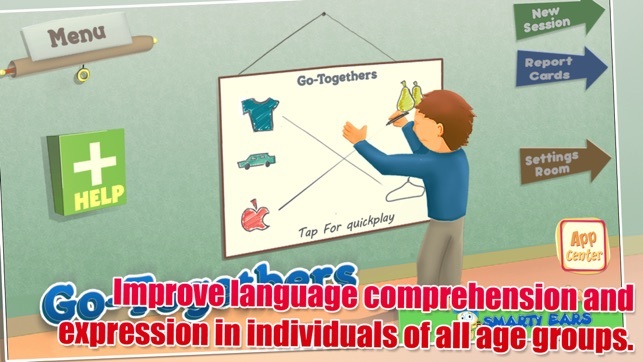 Go-Togethers is based on research around vocabulary and word meaning development in students. Studies have found that semantic knowledge and naming performance are strongly linked, and that increasing the strength of semantic representations will aid in word retrieval (McGregor, Newman, Reilly & Capone, 2002). Go-Togethers targets semantic representations by having students identify items that “go with” category items in a wide variety of linguistic categories (such as vehicles, school subjects, and seasons). In this way, Go-Togethers aligns with research indicating that improving vocabulary, describing ability and associations between words assists students in language comprehension and reading skills (Bromley, 2007). 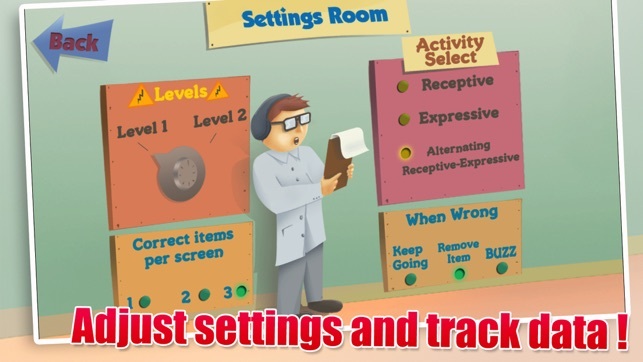 Therapists, teachers and parents may choose to target items within specific categories, an option within the application that is consistent with studies indicating that categorization improves word storage and retrieval (Miller & Eilam, 2008). Students with language disorders and autism spectrum disorder often have identified deficits in word knowledge, an area that is targeted by Go-Togethers (ASHA, 2006). Many researchers have supported the use of visual “word maps” to improve associations and retrieval (Westby, 2005, Wallach & Miller, 1988), a technique that is incorporated in the “Receptive” activities within this application. 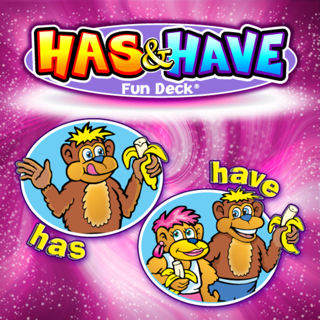 The “Expressive” activities in the app encourage and reinforce rapid retrieval of associated items, an intervention that has been shown to foster significant gains in word retrieval accuracy and vocabulary (Wolf & Seagal, 1999). 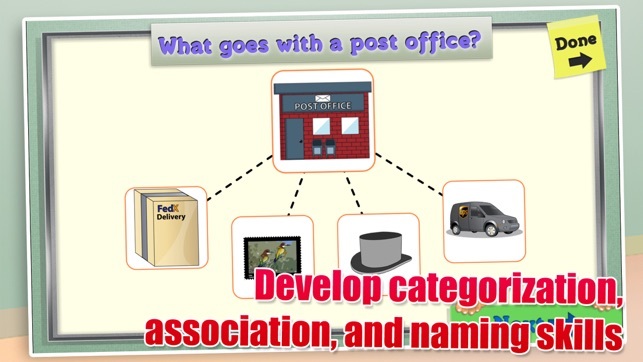 -Help children identify items that share a semantic association. -Receptive Activity in which students identify items that are associated with a target word (presented visually and with audio). -Ability to customize Receptive Activity according to number of possible correct answers presented (1, 2, or 3) to modify level of difficulty. -Choice of application responses when child selects incorrect item (subtle indication of incorrect response, incorrect item disappears from screen, or “Try Again!” message). -Selection of specific or all categories to target. 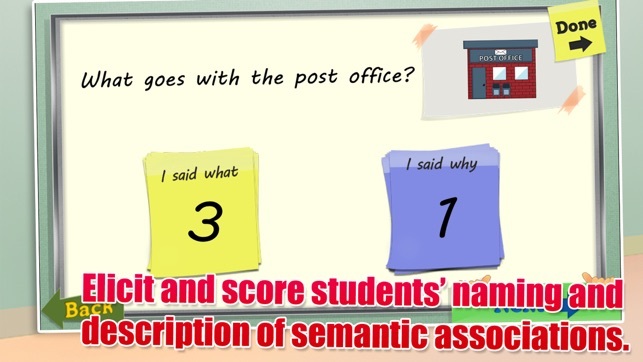 -Expressive Activity in which students verbally generate associated items and association rationales so that SLPs, parents or others can tally the number of times the student “said what” (an item associated with the target) and “said why” (a description of how the item and target are associated). -Quick Play and Receptive-Expressive combination activities. -Report presented at conclusion of activity; can be emailed to parent or self for record-keeping. Targets both expressive and receptive! Love how each item is introduced deceptively and then immediately follows up on an expressive follow up task. Also of course I love the ability to track data and the ease of taking on the run for speech therapy on the go. Great app for students with autism! 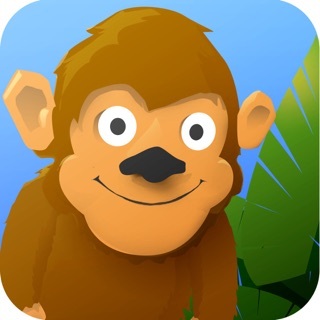 Go-Togethers is a great app for students to practice receptive and expressive semantic association. 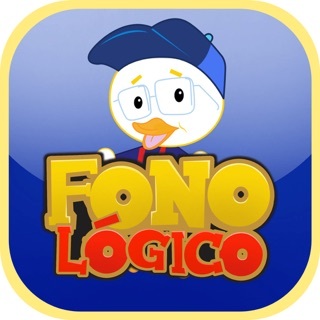 The app is fully customizable, with the ability to choose levels, target categories, the number of possible correct answers presented, and the consequence for an incorrect response. The app also has the ability to generate a report at the conclusion of the activity, to track and monitor student progress. I still find my default being SuperDuper fun decks and stuff I've made. It's nice that there is an expressive component but some of the associations were a little abstract for my littler students. I can work around that, no problem. The loss of stars is because there is no group use for data collection purposes like there is in some many other of Smarty Ears' apps.